It is always enjoyable to sneak in the door through the two armed knights guarding the entrance, into the medieval-themed dining hall. 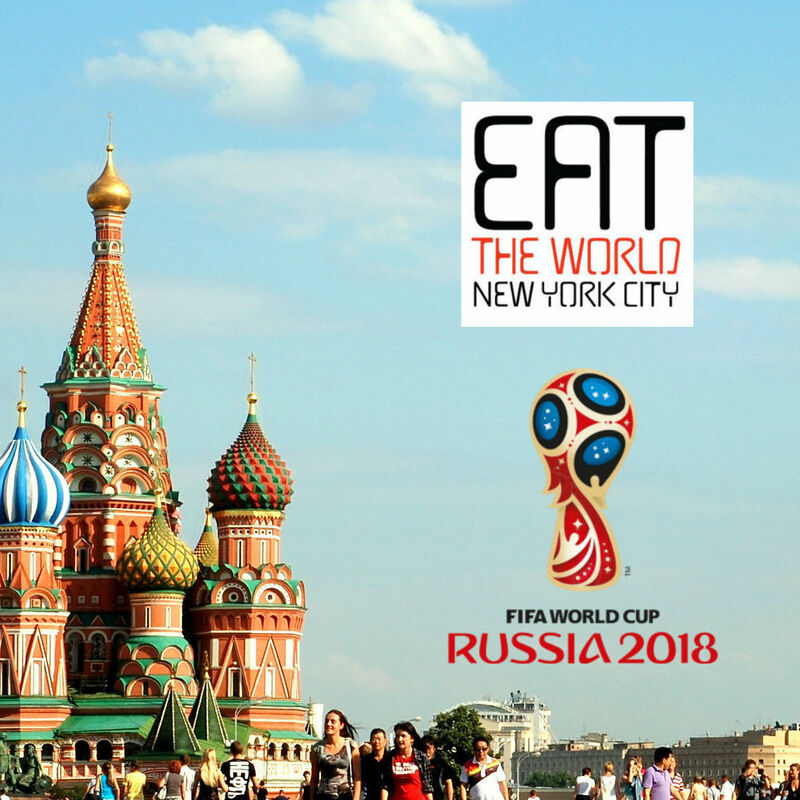 Explore the traditional menu much deeper than pierogies and kielbasy to find how complex Polish cuisine can be. This is literally "royal food" as the name translates, and it feels that way once you're full. The last few times I have dined at this restaurant, it has taken place at their Ridgewood branch. 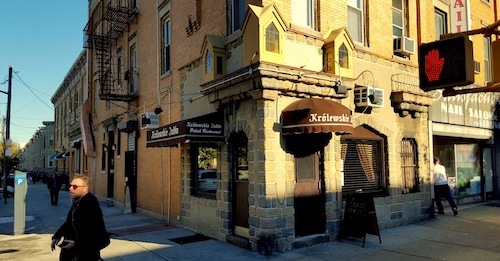 This neighborhood has taken over as the main Polish concentration, especially along Fresh Pond Road. 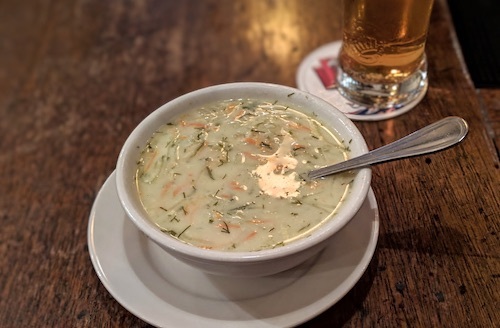 On weekdays, this location has a very economical lunch special (below) that gives you a choice of soup and entree for $11, and guarantees to stick to your ribs. 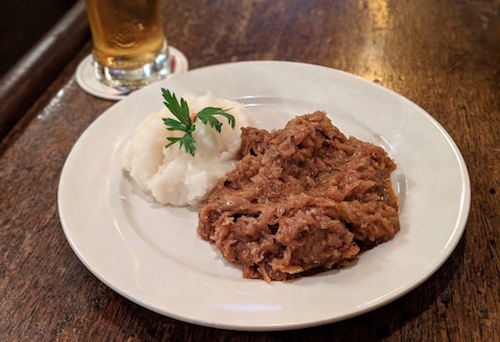 I recently paired the sour pickle soup known as ogórkowa (above) with the hunter's stew bigos (below) which comes with a side of mashed potatoes. Both dishes are spot on, like most everything in the restaurant. 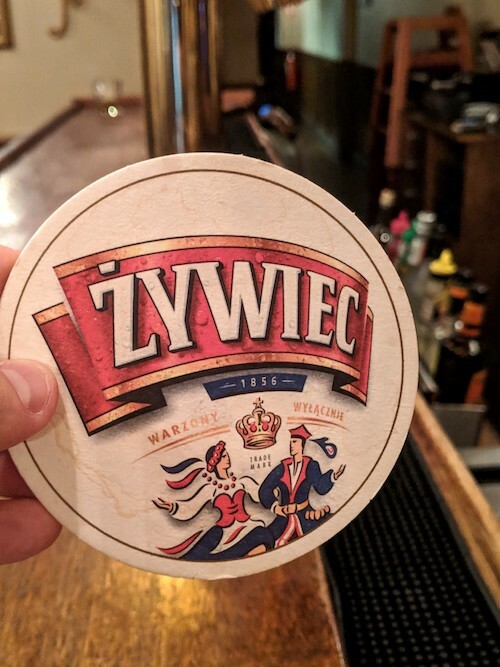 Don't forget a half liter of Żywiec lager to wash everything down.